Are You Lonely in Your Relationship? Find someone to love, and you’ll never be lonely again. But tell that to the many married adults who feel lonely even when their spouse is sitting right beside them. You can be together but not feel together. When your partner is detached, preoccupied, or busy, it’s like he doesn’t know you exist. Your attempts at connection go nowhere. You feel like a ghost hovering in the periphery, waving desperately in an attempt to be seen. When you’re single, you expect those feelings of loneliness to come and go. When you’re in a relationship, you don’t expect to have those feelings. So they hit you harder. But loneliness in relationships is more common than you might think. It goes hand in hand with emotional distance or drifting apart. When the person you love more than anything acts as if he doesn’t want to be with you or pushes you away, the pain is acute. Even if he just wants a bit of space, it’s easy to start catastrophizing. But loneliness doesn’t have to be an emergency siren, warning of a cliff ahead. Instead, it can be a gentle wake-up call, reminding you to redouble your efforts at connection. When a couple is young and inexperienced, it can be easy to assume that the initial flush of love is enough to last a lifetime. It’s not. Stop making an effort, and you may be able to coast for a while … but eventually you’ll find yourself on opposite sides of the bed, with a big fat cold space in between. Being in a relationship doesn’t guarantee you won’t ever feel lonely. All relationships, if not maintained, eventually drift apart. It takes work to stay together. Loneliness is a wake-up call. Your relationship may not be heading towards a cliff quite yet, but it may get there if you don’t take action now to change its direction. What should you do if you find yourself feeling lonely in your relationship? Start a conversation he’s interested in. When couples first meet, they can’t get enough of hearing about one another. They want to know everything about one another. They talk about everything under the sun. The longer they’re together, the more they’ve memorized each other’s stories. They assume they know what each other thinks and feels. Their conversations become transactional, or focused on topics like where to go for dinner and who should take the car in for an oil change. They stop complimenting one another. They stop listening to one another. They stop discovering one another. You can get back that loving feeling by getting curious about your partner again. You know a lot about him, but what don’t you know? Do you know what he’s working on in his job this very moment? Do you know what he’s singing along to on the radio? Do you know what he wanted to be as a kid? Start having those conversations again. Ask him about himself. Showing interest in him can make all the difference. Balance “me” time with “we” time. It’s tricky to get the balance of togetherness and personal time right. We want to enjoy feeling connected, but we don’t want to feel suffocated. Getting the balance right means enjoying your time together and enjoying your time apart. When a man goes into his cave, it’s important to realize that he’s not rejecting the relationship. He’s simply trying to cope in a way that works for him. When he goes into his cave, that’s a sign that you’re free to do what you need to do. Go out with your girlfriends. Do something social and fun, and don’t wait around for him. You don’t need to be lonely just because he’s not around. Enjoy your “me” time, and your “we” time will be better for it. Be honest about your feelings of vulnerability. If you’ve tried and tried but still don’t see an improvement, then it’s time to talk about it. Tell him that you’re missing the feelings of closeness you used to share. You’re missing him! You don’t want to drift apart and risk losing this relationship that means so much to you. Is there anything you could do? Conversations like that are hard. But they’re better than losing the war against loneliness. Don’t let the intimacy you once shared go without a fight. 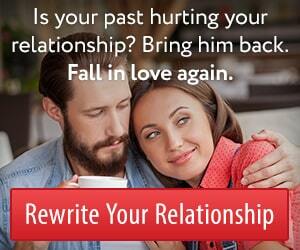 Your relationship needs you. Reach out and connect. This entry was posted in Dating, Relationships and tagged connection, loneliness by James Bauer. Bookmark the permalink. My partner and I have been together just over 2 years now and he’s never really been that loving, affectionate or intimate with me and things are not getting better. He doesn’t do anything with me and he never seems to have time for me/us. I’m worn out from trying to do anything with my partner so much so that I am now becoming withdrawn from him and our relationship. I can’t even tell him how I feel because he doesn’t think I should be lonely when I’m with him but he has always been emotionally unavailable and things are not getting better. I’m all over the place emotionally because I just don’t know what to do anymore and so have become very suppressed and withdrawn from him and our relationship. Tracy, my personal bias is that a person like you deserves a partner who shares your strong need and desire for a rich, emotionally satisfying love life. There are some guys who just aren’t looking for that. They don’t understand why anyone wants that. They’re willing to be with someone like you because you meet all their needs, but so would another woman who just likes to go about her own business most of the time and keep most of her thoughts to herself. If you decide you want to fight for this guy, you might find it useful to go through my special report on this topic, The Emotionally Unavailable Man Unmasked. Tracy, Has it ever occurred to you that your man might have Aspergers syndrome? My man is very much like yours, but I still am attracted to him and love him. A friend gave me a book called “Look Me in the Eye”. it changed my expectations of my man because I realize he has Aspergers. I gave him the book and he agreed (not resentfully) that it answered a lot of questions he had about feeling different. He’s smart, kind, and we share a lot of interests. I’m 75, so I’m ok with sticking with him even if he’s not romantic. Knowing he has Aspergers explains a lot and has improved our relationship. Good luck! I just got married a little over a year and I’ve never felt so lonely. 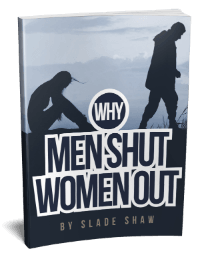 I speak with married couples who suggests to speak with a counselor, which I am working on. Since we’ve been married we have not made love, which bothers me deeply. Everyone ask how’s the honeymoon, I say it’s good. When I know it’s not, I’m living a LIE. I love this man so much. He does everything for me expect, show or give me affection. Hi Anita. I do agree that couple’s counseling with both of you present together to work on this problem is going to be the best solution. We just got married 3 months ago and I’ve been feeling this for awhile, before the wedding even. Feel like he wants only me time, no we time, no matter how much he gets it’s not enough. He has no interest in me. I’ve talked to him about it, he thinks things are fine, nothings changed. I’ve tried talking about his interest but he’s often distant then too and he doesn’t really have any interest in anything I say. He ignores most of what I say completely. I don’t know what else to do. I’ve been together with my husband for over 20 years. Recently I had this same feeling of lonliness. It was tearing us apart. Wished I would of found your post sooner. Could of used some advice. Good advice to!